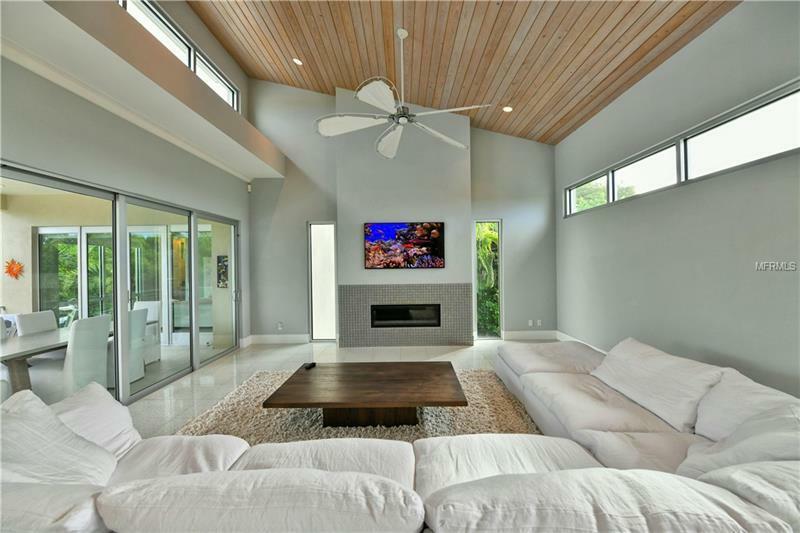 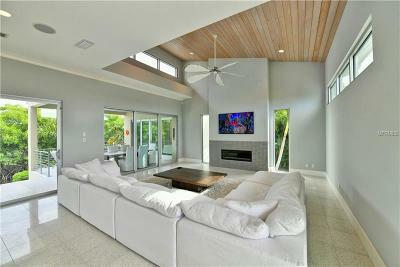 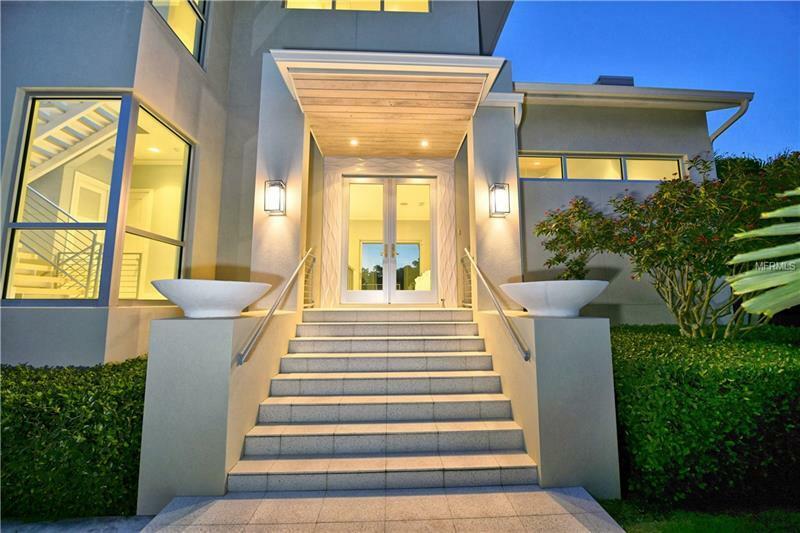 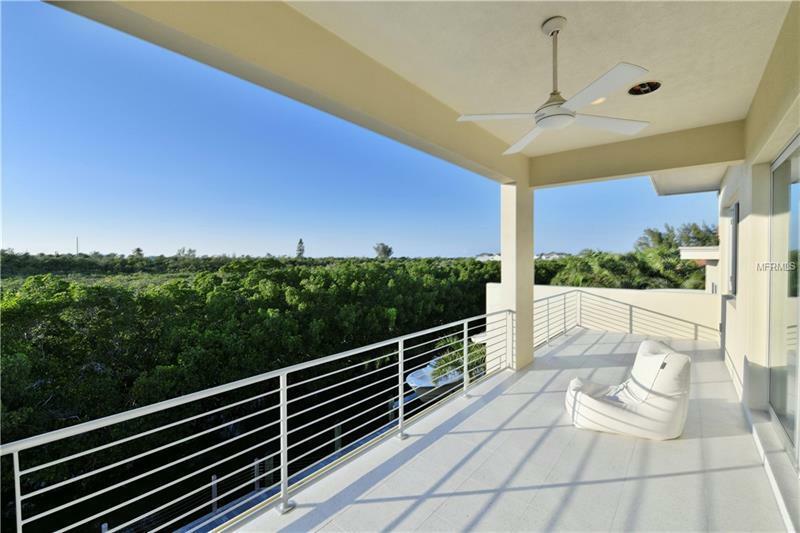 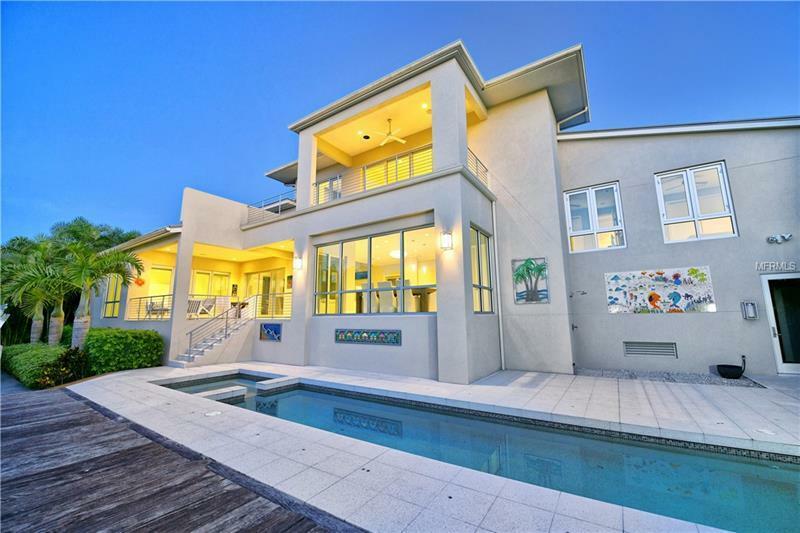 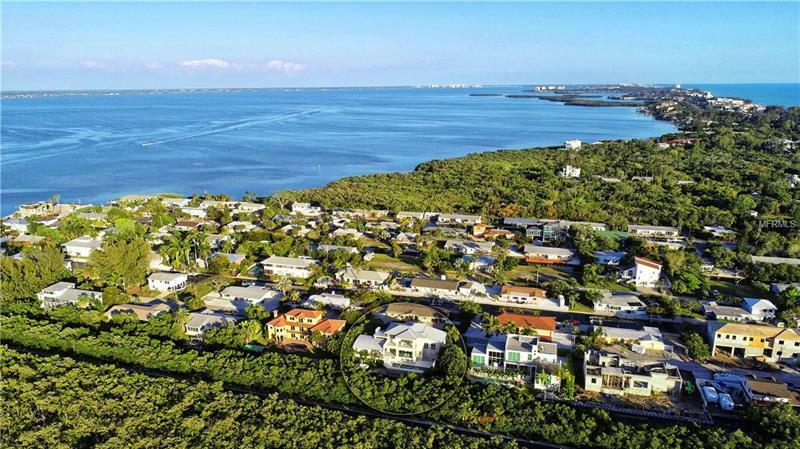 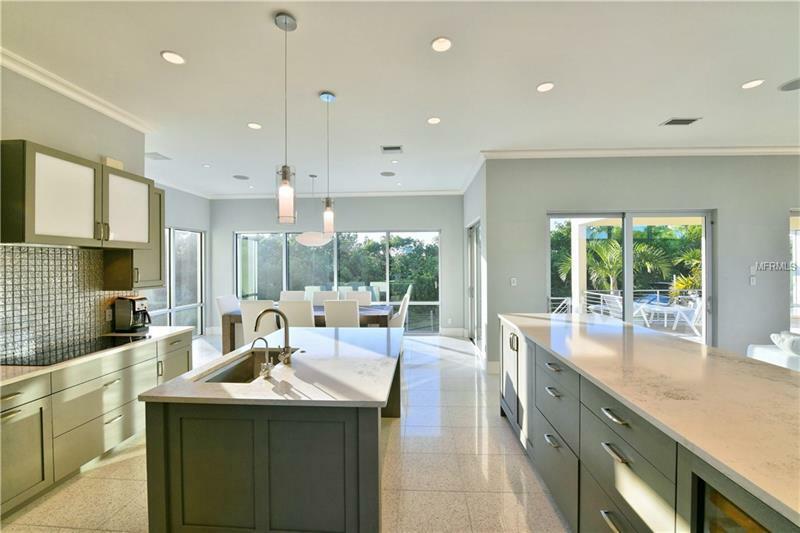 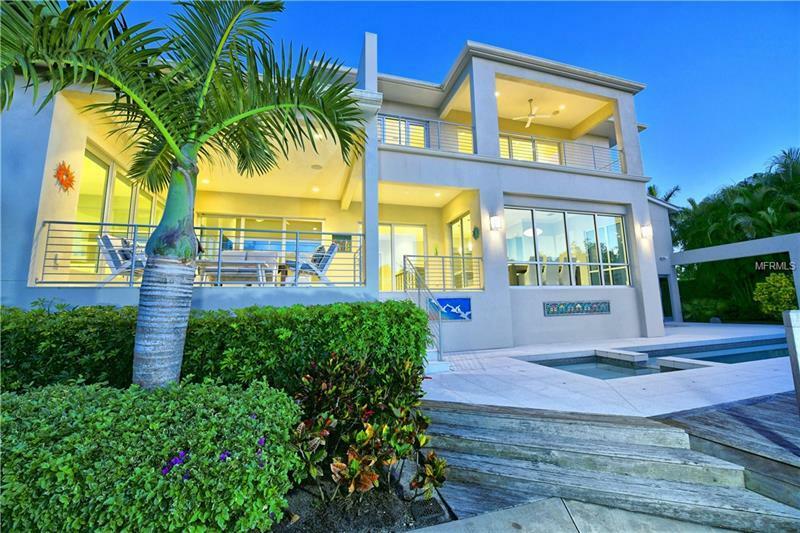 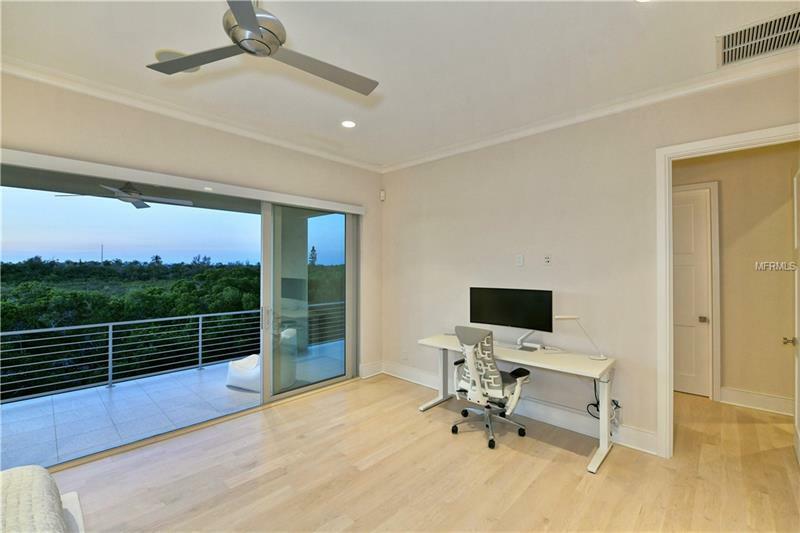 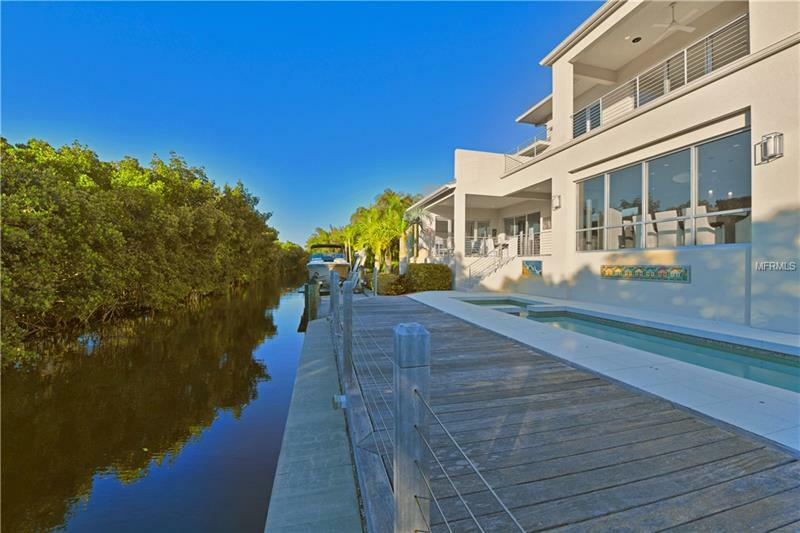 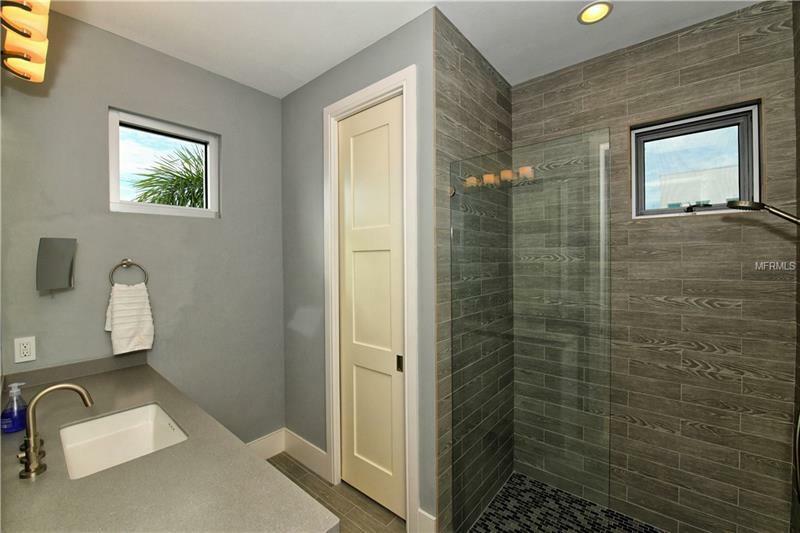 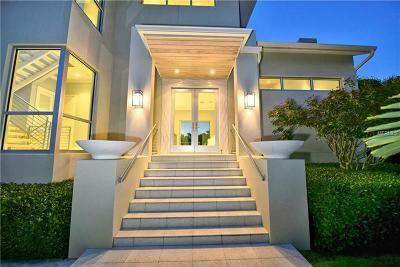 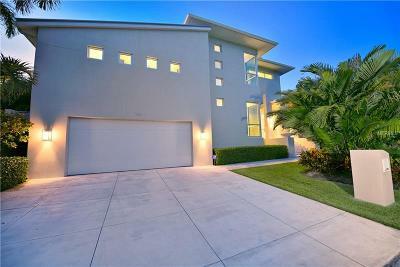 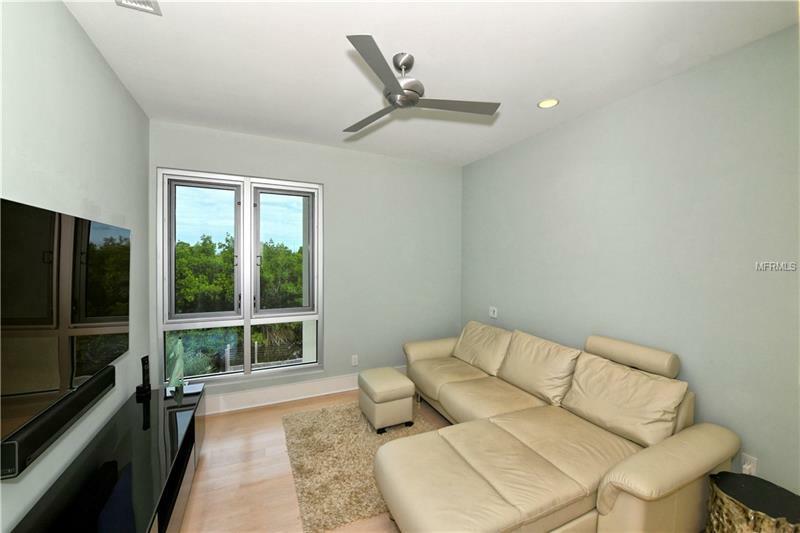 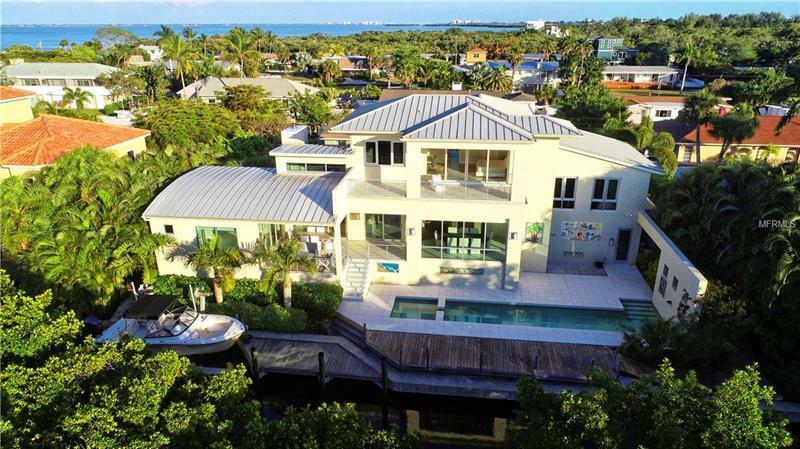 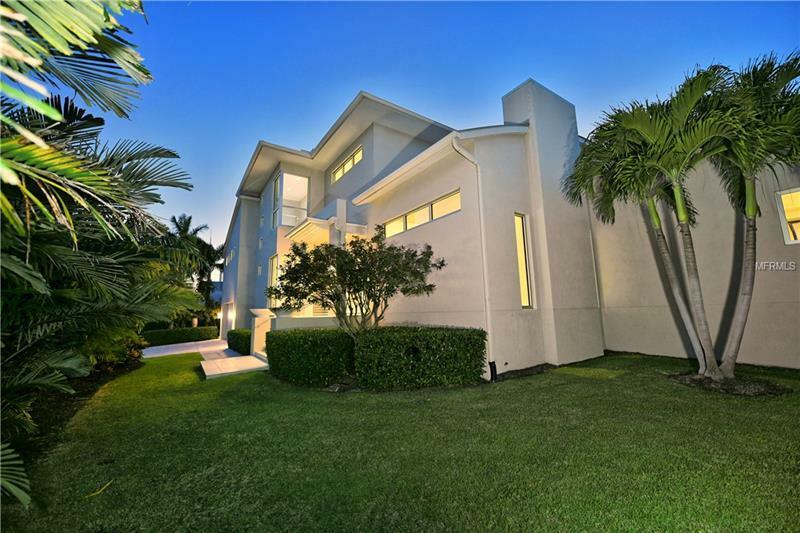 This modern move-in ready boaterâs paradise is located on a quiet strip along Longboat Keyâs north end. 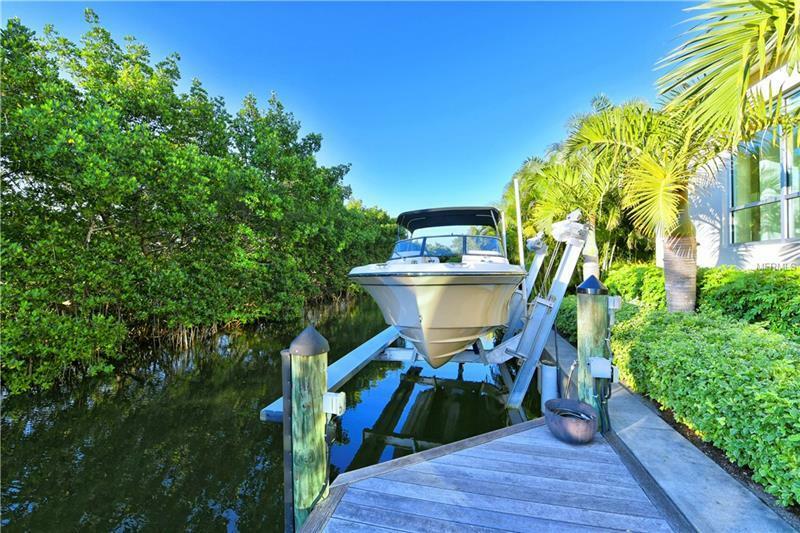 Yachtsmen will love the secluded feeling of this waterfront home with its newer seawall and IPE wood dock (2011) under-dock lights and new 10000 lb. 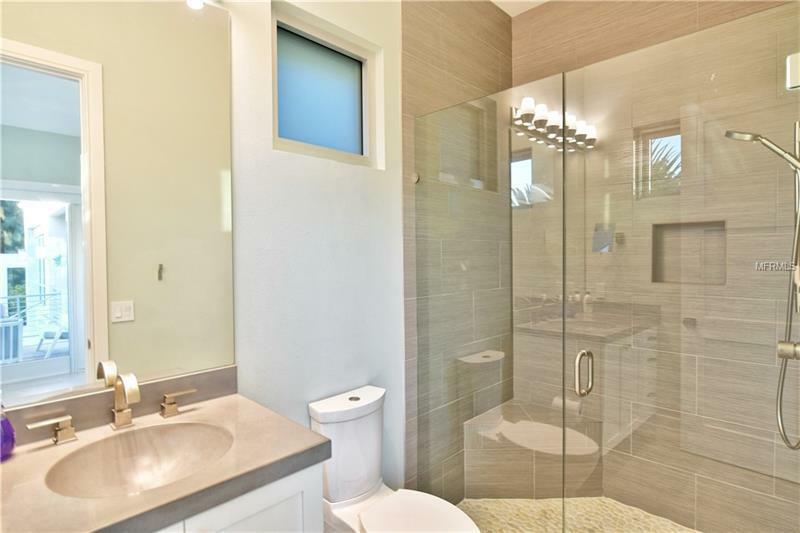 lift (2016) able to accommodate a 22-footer. This newer elevated home abounds in clean lines and a neutral decor that perfectly complements the contemporary family's lifestyle. White terrazzo flooring throughout the main living levelâs open concept offers an effortless flow from the living room with its 18â white-washed Cypress tongue-and-groove ceiling and gas fireplace to the gourmet kitchen and dining. 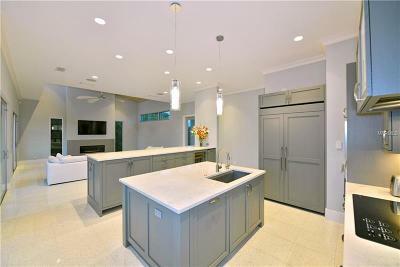 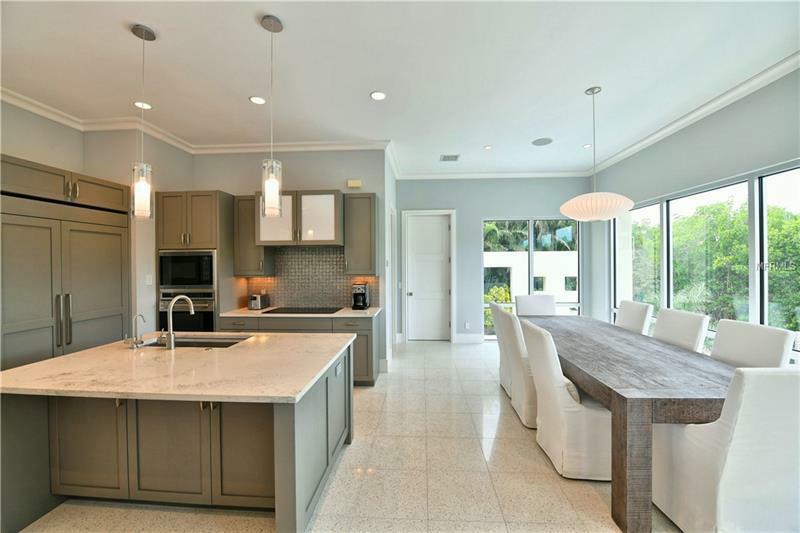 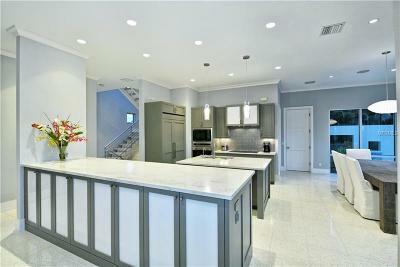 This chefâs dream features breakfast bar extended island Quartz countertops custom cabinetry (throughout the home) by Campbell Designs Jenn-Aire and Wolf appliances glass tile backsplash walk-in pantry and overlooks the dining room surrounded by walls of glass. 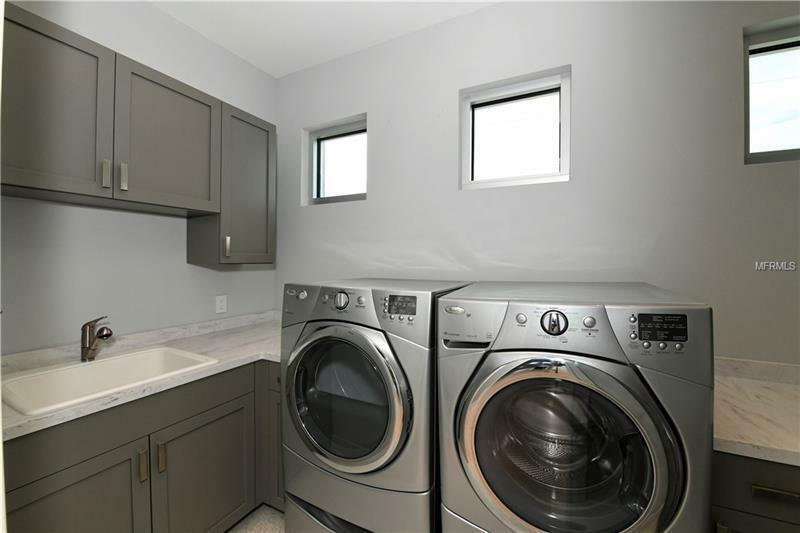 The upper levels offer blonde maple wood flooring with one floor comprised of two guest bedrooms and a laundry room for convenience. 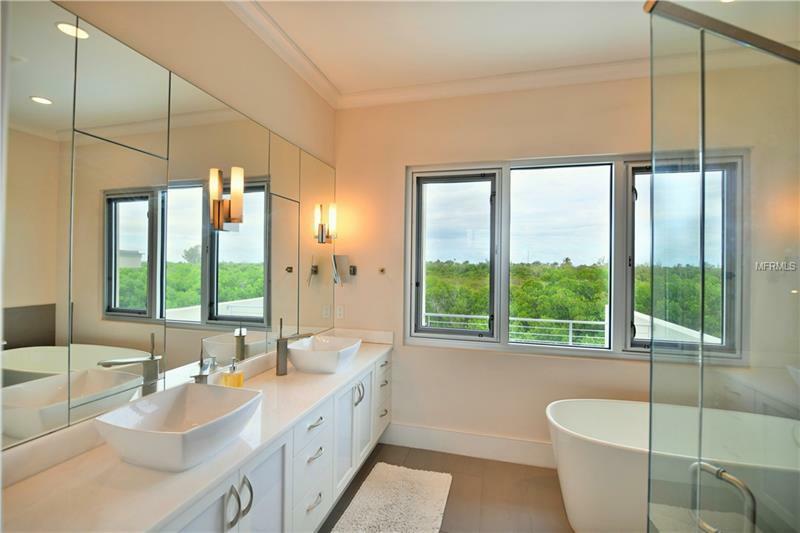 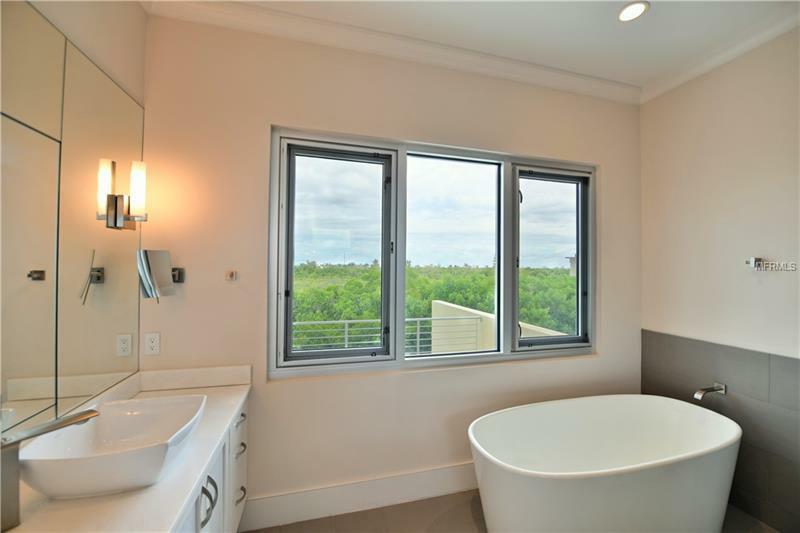 The master suite is a private retreat on the top floor offering its own waterfront terrace featuring lush Mangrove views two walk-in closets and spa-inspired Porcelain tiled bathroom. 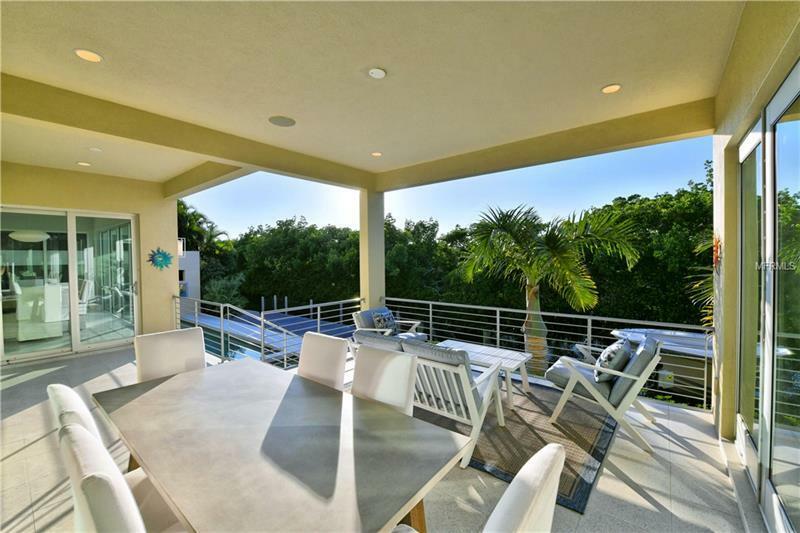 Glass sliders open to the waterfront lanai with its covered dining and lounge areas a cabana currently being used as a private guest suite (can be repurposed as a mother in-law suite or workout room) plus the heated lap pool and spa are down a few stone steps.